In just six months, Lottie Colquhoun has gone from picking up a Sherrin for the first time to winning the National University League Best & Fairest medal and being awarded Best on Ground in the University of Birmingham’s Women’s Division Grand Final win. 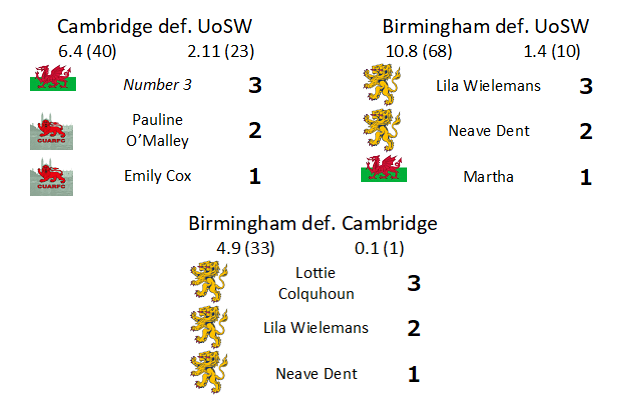 Colquhoun won the medal with 11 votes, polling in each round she played in and earning maximum votes in three of her side’s six matches this season (a full voting record for each match can be found below). 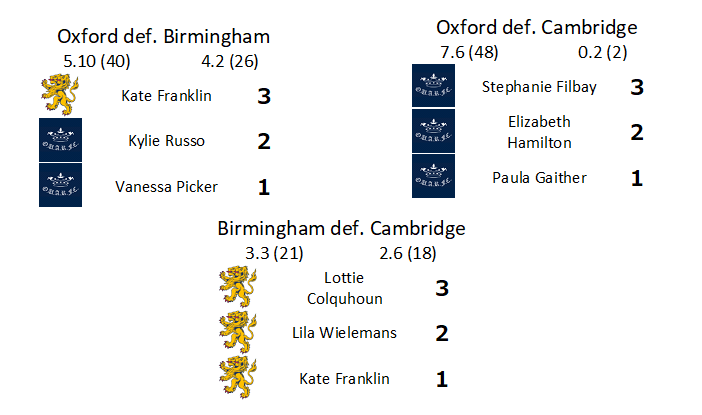 Colquhoun held off the University of Oxford’s Stephanie Filbay over the course of the final round of the regular season in an enthralling women’s contest. Filbay polled maximum votes in her side’s final two games, but it wasn’t enough to overhaul Colquhoun who polled for five points over her two games to secure the title. “I was invited to a taster session by our captain Meg Davies,” Colquhoun told AFL England. “There were only three girls left from the previous season so they were trying to recruit more girls, and I thought why not! “After the first couple of sessions, I was absolutely hooked. Not just by the sport but the enthusiasm and excitement everyone in the club had both for the sport and for each other. 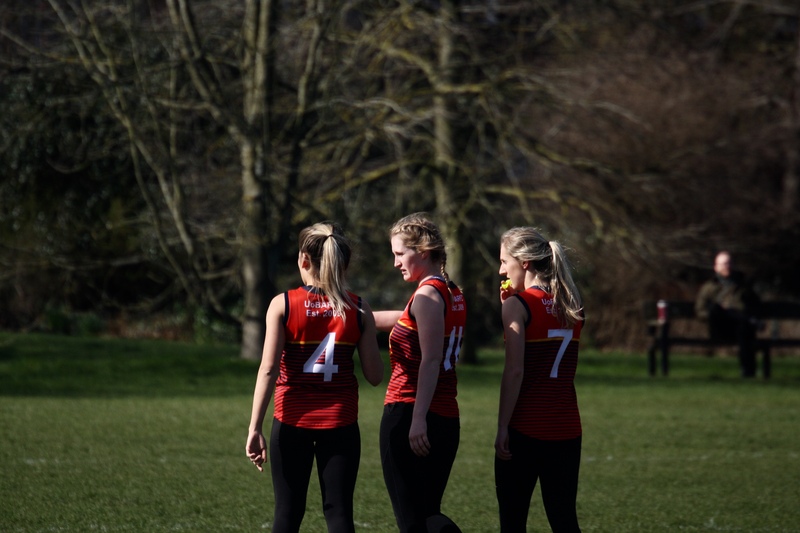 Colquhoun says that, to her, sport is one of the most important things about the university experience in not only keeping you fit but ensuring you keep a healthy balance between your work and social life. “It’s also one of the best ways to meet like-minded people and provides you with some of your best friends. From the start, I’ve felt so comfortable in the team. Meg [Davies], Lila [Wielemans] and Ciara [Duffy], our only ladies seniors left, were absolutely amazing. I can hands down say if it wasn’t for them and their support I probably wouldn’t have kept coming back! 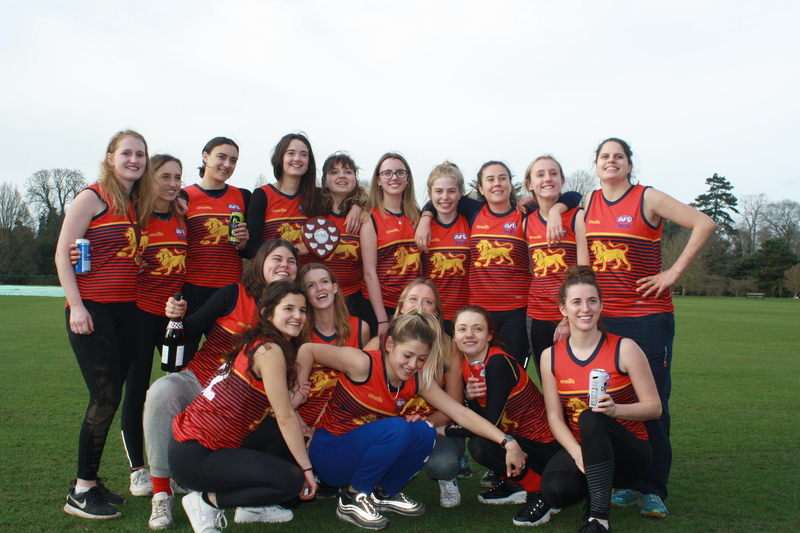 Having represented a lot of different clubs and sports, Colquhoun says that she has never felt more relaxed and proud than she is at the University of Birmingham Australian Football club. 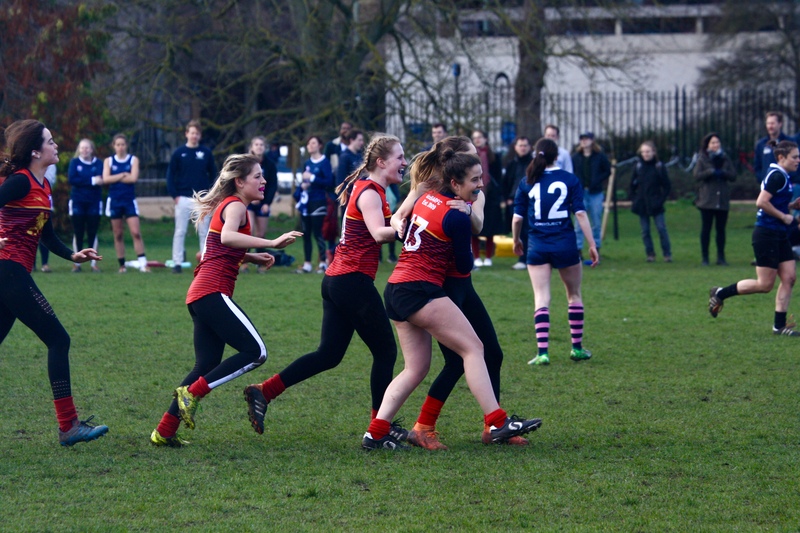 Heading into the Grand Final weekend having never beaten the University of Oxford side they were to come up against, she says there was a mixture of nervousness, enthusiasm and hunger for the title amongst the squad. “This was the first game we would play as a full team, as usually, we had one or two of our starting line-up missing. 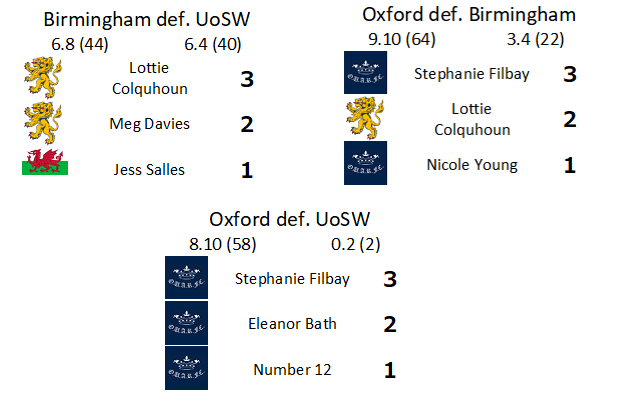 We’re all very shocked we managed to pull it off, especially having been beaten by Oxford twice during the season. We’ve put so much effort and time into our training it really puts us in a great mindset for next season. “I knew very little of what to expect from the NUL season and it’s fair to say I was pleasantly surprised. The concept is excellent and I can’t wait to watch it grow from strength to strength over the next few seasons. Lila Wielemans from the University of Birmingham was a clear third. Wielemans kicked four goals during Round 3 and polled for five points to lead with one round to go. 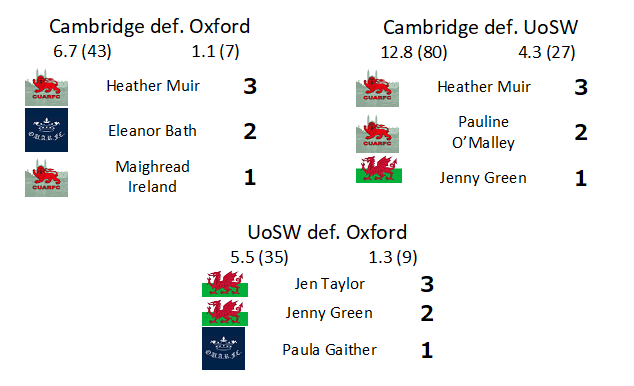 Heather Muir polled maximum points in Round 2, kicking three goals in the process to help the University of Cambridge win both their games after losing on home soil in Round 1.